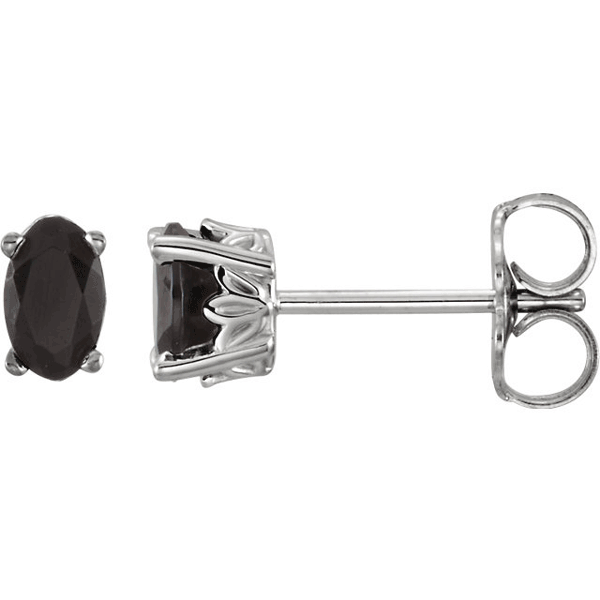 Genuine oval black onyx stud earrings with intricate scroll-work design set in your choice of 14k white gold or yellow gold. The onyx gemstones measures 5mm x 3mm oval. Also available with various gemstones with the same scroll-work style, shown below. Don't see the gemstone you'd like? Contact us. We have more options than are listed on our website. We guarantee our Oval Black Onyx Stud Earrings with Scroll-Work Design, 14K White Gold to be high quality, authentic jewelry, as described above.